I didn’t see most of the game today; maybe that was a blessing. I know we’ve spent a great deal of time over the last few weeks talking about brackets and No. 1 seeds; the only path Tennessee has left there is to hope the line about the selection committee not having time to care about Sunday games is fact and not fiction. But wherever the Vols end up now – No. 1 or No. 2, Louisville or Anaheim – they have nothing to do except look in the mirror. And on that mirror, I’d write “Auburn”. The Vols need to see themselves: a team that beat Gonzaga and Kentucky twice, spent four weeks at number one, can beat anybody and didn’t lose a single game outside Quad 1. They need to see the team that beat Kentucky on Saturday. And they need to see Auburn, to be reminded that no one will give it to you. Auburn is a good basketball team; on the right day, they’re a great team, and the numbers say they were plenty great today. Bruce Pearl is a great coach, we know. No one can take any of that from them. But in both of Tennessee’s meetings with Auburn, we’re left looking back in that mirror. On the road, the Vols took the invitation to jack threes and came up four points short after a back-to-back stretch of their best basketball in beating Kentucky and Mississippi State. 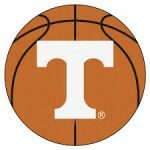 Today in Nashville, the Vols turned it over 17 times and surrendered 13 offensive rebounds. That’s thirty extra possessions. Auburn turned it over seven times, and the Vols had four offensive rebounds. You can do the math. And all of this happened after a back-to-back stretch of their best basketball in beating Mississippi State and Kentucky. Both times, the Vols faced the Tigers feeling great about themselves, with a championship at stake. Both times, the Vols gave it away. No one will give it to you. This Tennessee team is good enough to take it. The lesson, now 34 games into this season and left at the championship altar twice, is you have to take it every night, every possession. Failure to live that truth cost the Vols two rings. No one will give it to you. Tennessee has to look in the mirror and remember Auburn. And when they’ve taken a long, hard look at that, they’ll still see a team that is more than capable of taking it.